We have a bit of a soft spot for the Abarth 124. Yes, it’s expensive for what it is, but we love the way it packs so much over-the-top aggression into its tiny, MX-5-sourced frame. We’ve already seen what happens when that anger is upped further via the R-GT rally version, but now, we’d like to present the most enraged version of the Fiat 124 yet. 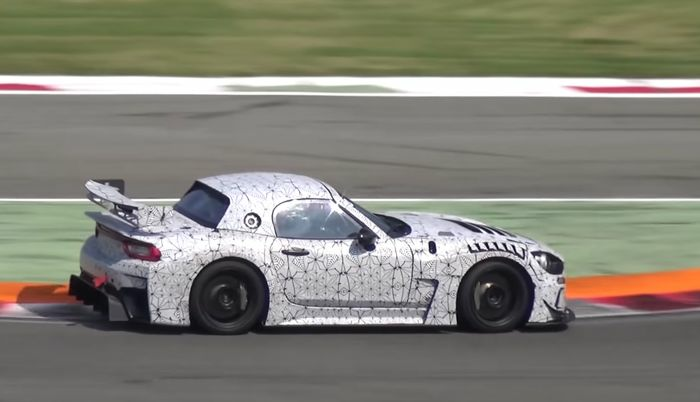 It’s a test mule for an incoming GT4-spec racing version of the car, sporting a hard top, a big rear wing, a massive rear diffuser and all manner of vents and canards. 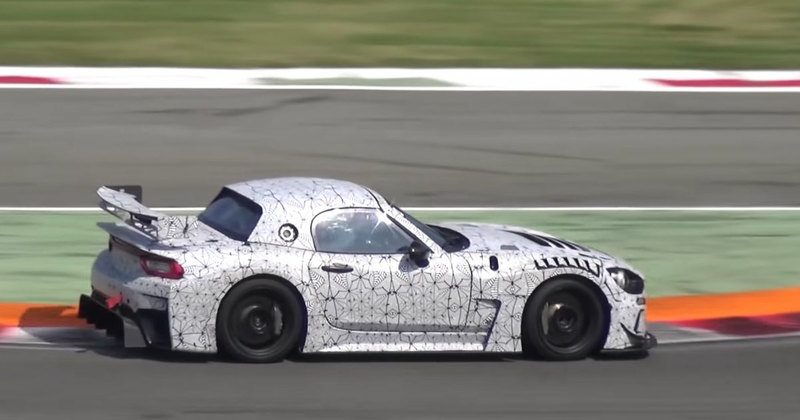 It looks like a shrunken Dodge Viper GTS-R, and we dig it. Technical details are largely unknown, but the uploader seems to think it’s powered by a 1.75-litre turbocharged engine taken from the Alfa Romeo 4C/Giulietta Quadrifoglio, which seems a decent guess. Power should be around 380bhp. We’d expect the car to make its competition debut early 2019.